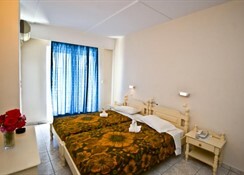 This is a family-run hotel with a warm and friendly atmosphere. This air-conditioned city hotel has a total of 49 rooms. Guests are welcomed in the lobby, which offers a 24-hour reception and a 24-hour check-out service, as well as a hotel safe, currency exchange and lift access to the upper floors. There is a TV lounge, café/bar and a breakfast room and guests will appreciate the wireless Internet access in the communal areas. 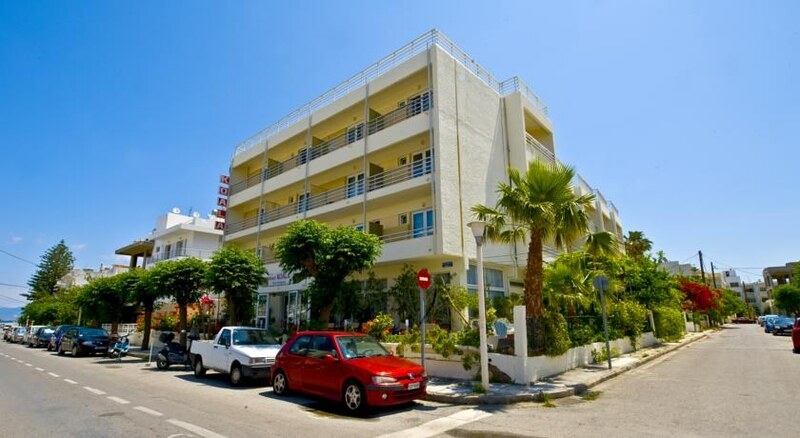 All of the guest rooms have been newly refurbished and have a private shower, direct dial telephones, in-room music, a hairdryer, soundproof windows, electronic keys, a radio, hi-fi, TV and mini fridge. Further standard features of accommodation units include individually regulated air conditioning and heating, and a balcony. 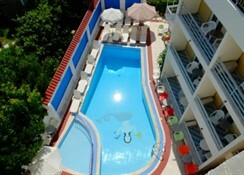 The hotel features an outdoor, freshwater swimming pool suitable for the little guests of families. 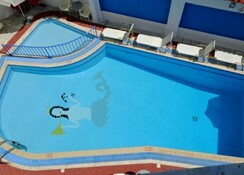 There is also a poolside bar serving refreshments and snacks. Sun loungers and parasols are provided free of charge by the pool and can be hired for a fee on the nearby sandy/pebble beach.